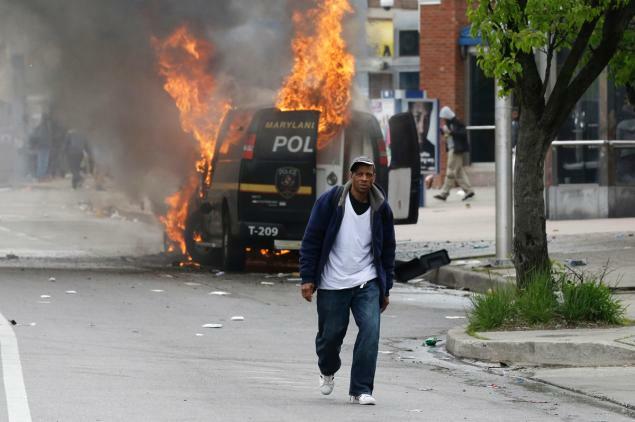 Baltimore, Maryland is burning. Protesters and looters have flooded the streets in response to the questionable death of Freddie Gray while in police custody. Stores have been vandalized, buildings and police cars set on fire. A state of emergency has been declared and the National Guard have been called in. Tanks, rubber bullets, tear gas, curfews are all in effect. External force is the order of our days. But, what of the spiritual force that lies within us? Dr. King called it “soul force.” What of the power of the human soul to change? And how are we prepared to meet these hurting souls so that we might effect sound change? This is an all too familiar story in America. In fact, it is the American story, the tragedy of race. We know the lines and yet, we have not figured out how to stop repeating them. We know violence only produces more violence. We recite the words of Dr. King, “Hate cannot drive out hate.” But, this recipe is not only for riots but for the relationships that we have with each other today and every day after the smoke settles. We know both sides, the pros and cons. We know the charges of our history and what has been our defense. We have been the judge but I think that today is as good a day as any to get up. We need to be overruled by Love. We need the Power greater than ourselves Who can do what we cannot because He knows what we find so hard to believe: “Love bears all things, believes all things, hopes all things, endures all things. Love never fails” (First Corinthians 13.7-8). I know that we cannot see it now but Love will win. My brother, Glenn, I would hope that the person cited in this quote did not mean buildings and cars. 🙂 Out of love, we need to destroy our prejudices in order to reform our hearts. As always, thank you for encouraging me to think more deeply. I appreciate you.